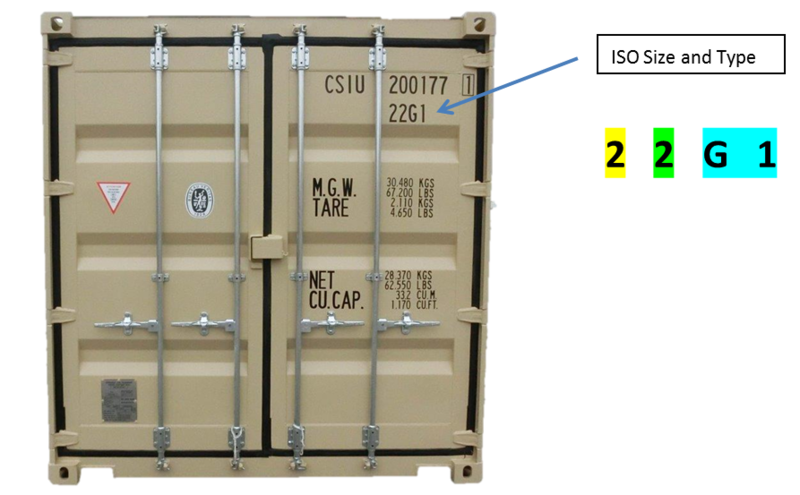 In 1995 the ISO reached an agreement on the marking codes that would depict Length, Height and type of container. The following Chart shows how the coding is broken down. Before the ISO reached an agreement on the marking codes in 1995, the markings were not set in stone so there were a lot more codes than necessary. The following chart depicts the new specific codes. The second chart shows the markings of 1984 compared to those of 1995.